For 25 years, the prestigious Kew Gardens internship has seeded the careers of alumnae botanists, plant researchers and educators. 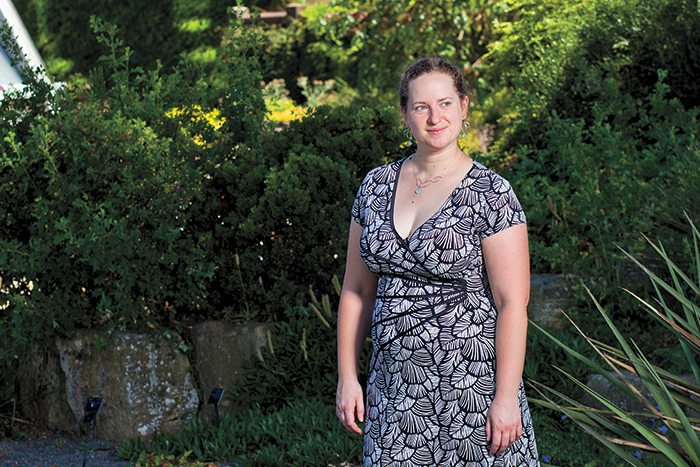 The first time Elizabeth McCarthy ’06 arrived at the famed Royal Botanic Gardens in Kew, outside of London, she was one of two Smith students to win a coveted position as a summer research intern there. She didn’t know it then, but the experience—empowering, adventurous and career shaping—would define her life’s path. By her third visit to Kew, McCarthy was a doctoral student in botany, resuming work that she had begun as an undergraduate—studying the evolution of Nicotiana (tobacco). Only now she was pursuing her own research as part of a joint program with Queen Mary University of London, Kew and the Natural History Museum. But she never forgot those first 10 weeks as a Smith undergraduate intern in Kew’s Jodrell Laboratory, when she was working alongside scientists James Clarkson and Mark Chase on molecular phylogenetics and the genus Nicotiana. “I learned new techniques and gained lab experience with DNA sequences. And I fell in love with the research,” McCarthy says. She was still a senior at Smith when she was listed as co-author on a paper—detailing previously unknown relation- ships among six species of Nicotiana—that was published in The Plant Journal. In June, the Smith College Club of Great Britain celebrated the 25th anniversary of the Kew internship program by hosting a party at the Jodrell Laboratory. 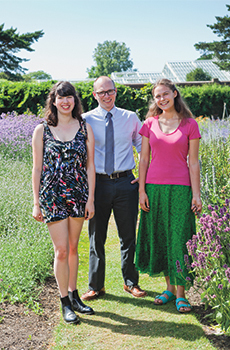 Since 1994, two Smith students each year have been selected and sponsored by the Botanic Garden of Smith College in the competitive internship, which offers them a chance to dive deeply into plant anatomy, genetics, molecular systematics, biochemistry and biological interactions. Most of the projects use DNA-based techniques for elucidating relationships between species of plants. And many projects result in publications with interns listed as co-authors. 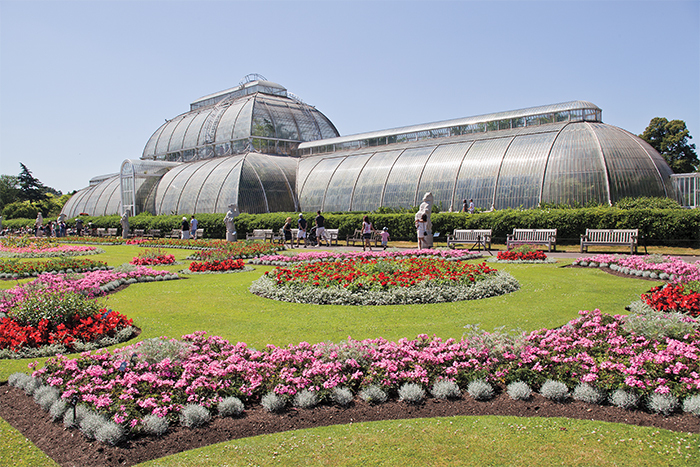 The world-famous Royal Botanic Gardens at Kew annually attract some 1.5 million plant enthusiasts who follow walkways through gardens, iconic glasshouses and conservatories, all spread over 326 acres. Some are lured by magnificent cultivated landscapes, while others come to see for themselves the largest and most diverse collection of living plants of any botanic garden in the world. Smith students who spend their summer at Kew as interns work with world-renowned scientists and conduct graduate-level research. More than 25 years ago, Paula Deitz ’59 was among those from the Smith community to recognize the potential power of a research internship there, and she became a champion and key fundraiser for a proposed Smith College summer internship at the Royal Botanic Gardens at Kew. The famous Kew Gardens near London are a tourist draw and a scientific magnet for plant researchers. They have also launched the botany careers of Smith interns. The Kew program has its roots in a conversation Deitz had in 1993 with Kew geneticist and botanist Michael Fay. “As we walked around the gardens, he at first told me there was no student intern program in place in his micropropagation unit and that he engaged only postdoc students. 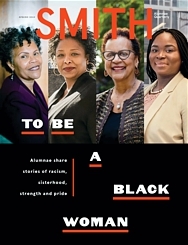 ‘This is a serious place,’ he told me.” Nonetheless, by the end of “that memorable visit,” she says, Fay had agreed to accept one student intern from Smith. “By generously mentoring these students and making them partners with full responsibility for their assignments, the Kew scientists—including Fay, Chase and Félix Forest—have inspired many of them to seek professions in the botanical scienc- es and related fields,” Deitz says. She is a founding co-chair with Susan Komroff Cohen ’62 of the Friends of the Botanic Garden, which supports the plant collections, educational programming and internship opportunities for students. Since then, Munn has catalogued herbarium specimens for the Missouri Botanical Garden, worked as a field botanist in Mexico, obtained a master’s degree in botany and served as a museum educator at the Smithsonian’s National Museum of Natural History. She now leads public programs for four Harvard University museums dedicated to science and cultural diversity. This year’s Smith interns at Kew Gardens—Emma Kelley ’20 (left) and Lucy DeBolt ’20—meet up with botanic garden director Tim Johnson. Since the program began, the Muriel Kohn Pokross Class of 1934 Travel/Internship Fund has supported Smith-Kew interns with travel and living stipends. The fund was established by Joan Pokross Curhan ’59 in honor of her mother’s junior year abroad in Paris, her devotion to horticulture and landscape design and her love for Smith. Curhan attended the celebration in June. Interestingly, the Royal Botanic Gardens had made a significant mark on the Smith campus a hundred years before the internship program began. In 1894, the college hired Edward Canning, who had been trained and employed at Kew, to be Smith’s head gardener. He is credited with designing and establishing in 1897 the oldest rock garden in North America, located on a slope near Smith’s Lyman Plant House, featuring plants native to alpine regions all over the world. Canning modeled the garden after the innovative rock garden constructed at Kew in 1882. As an incoming student, Karime Gutierrez ’20 discovered the beauty and resources of the Smith College Botanic Garden. Now the biological sciences major wants other students to feel just as at home in the garden as she does. Gutierrez spent the summer researching how to draw more students of color to Smith’s plant collection. “This is an opportunity to make change,” Gutierrez says. The project—“Coded Gardens: Exploring Barriers to Access Through Dialogue”—is using listening sessions to help the botanic garden ensure that its resources are being used by the full campus community. A recent internal assessment had revealed that fewer students of color have been participating in horticulture classes and internships. “All Smithies [should] have the same opportunity to discover a passion for plants,” says Tim Johnson, director of the botanic garden. Elizabeth McCarthy ’06 delivers a lecture on research that grew out of her internship at the Kew’s Jodrell Laboratory. Elizabeth McCarthy, who spoke at a recent anniversary celebration at Kew, has gone on to complete two postdoctoral positions, including at the University of California, Riverside, where she researches the same species she studied at Kew. 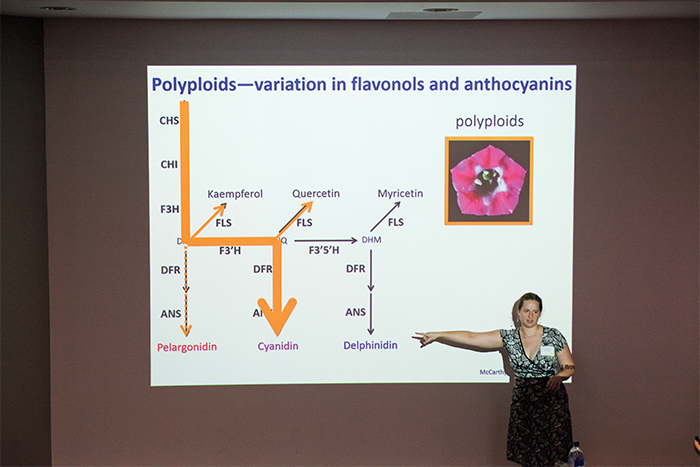 Her current research on Nicotiana looks at the genetic basis of the differences in floral color. “I started working on polyploidy and hybridization and on the evolution of flower shape, size and color. Nicotiana is a great system to study these questions,” McCarthy says. She is continuing her work in her new position as an assistant professor of biological sciences at SUNY Cortland in upstate New York. Jan McCoy Ebbets is the editor of print and online publications in Smith’s college relations office.